Encore is a solid-surface kitchen worktop from Bushboard. 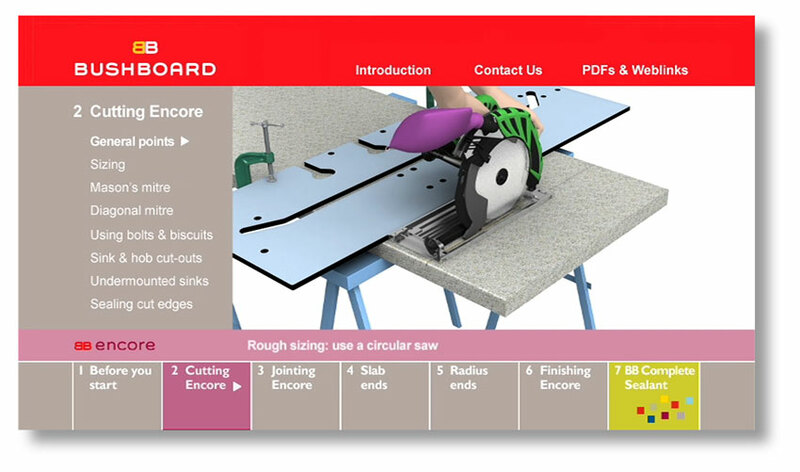 When it was introduced, it was completely new – unlike any solid-surface worktop a kitchen fitter would have come across. 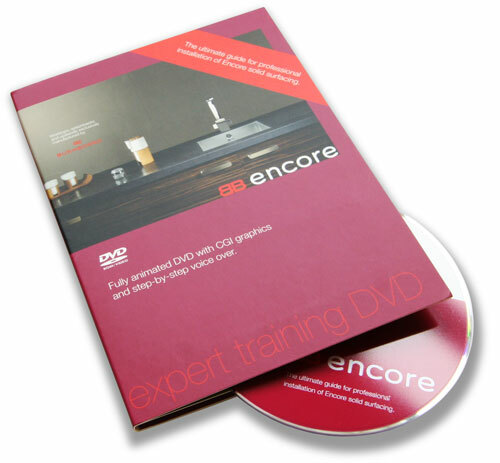 Bushboard needed a step-by-step training DVD to make sure fitters understood exactly how to get the best from Encore. To write that voice-over script, we had to know how to do the job as well as any kitchen fitter. 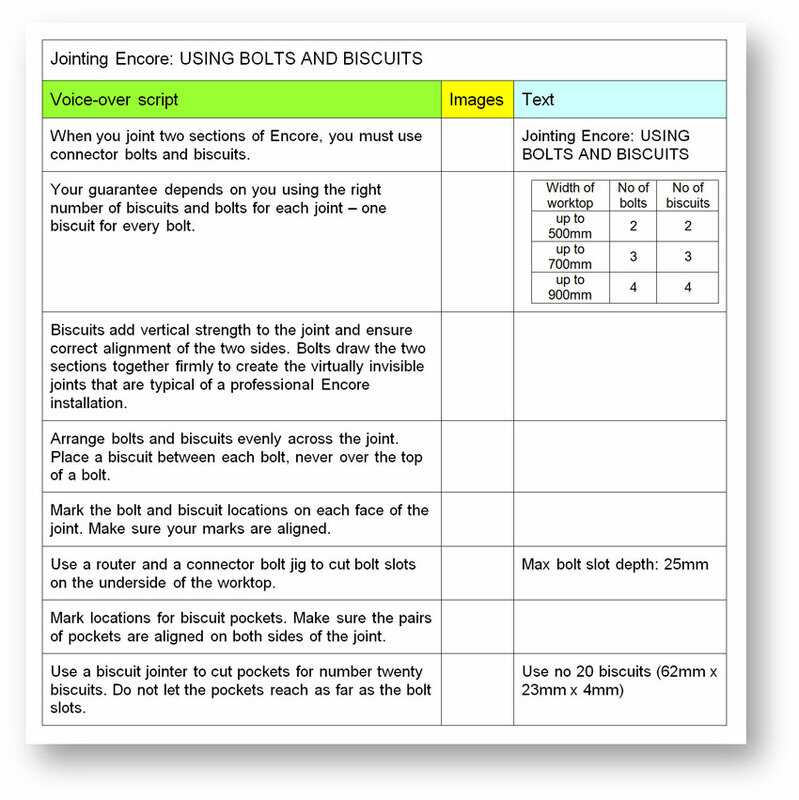 We worked closely with the animator to marry verbal and visual instructions, and to split the learning process into easily digestible chunks.